We are located on the 3rd floor of Snowden Library. No appointment necessary; just drop in. All sessions are held in the Math Center. When the College shuts down due to bad weather, the Math Center will still hold regular daytime and evening hours as long as the library remains open to students. The offices of Mrs. Bolt-Michewicz and Mr. Reed, however, will be closed. 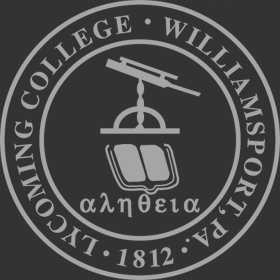 What students can expect: Excellent achievers in quantitative courses, the math tutors at Lycoming College have been trained to guide you through the learning process, from basic concepts to abstract thinking. Tutors do not take control of your work or do your homework for you. They are not simply answer checkers. They are so much more! Take advantage of the enthusiastic tutors throughout your time at Lycoming for quantitative assignments both large and small! Come prepared: Bring a copy of your assignment with you to the tutoring center as well as any necessary textbooks, course notes, or other information. Don’t forget to bring your calculator (if needed) plus a writing utensil. Make sure you bring your student ID as well. Not all math tutors are Mathematics majors. Some specialize in the natural sciences, social sciences, and other areas. When you visit the Math Center, you will have the option of notifying your instructor in order to show him or her that you are making an extra effort to succeed.